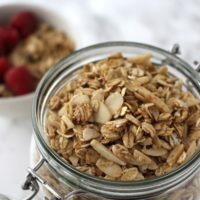 I feel like everyone should have homemade granola in their pantry. It’s so much healthier than store-bought because you have control over the ingredients. 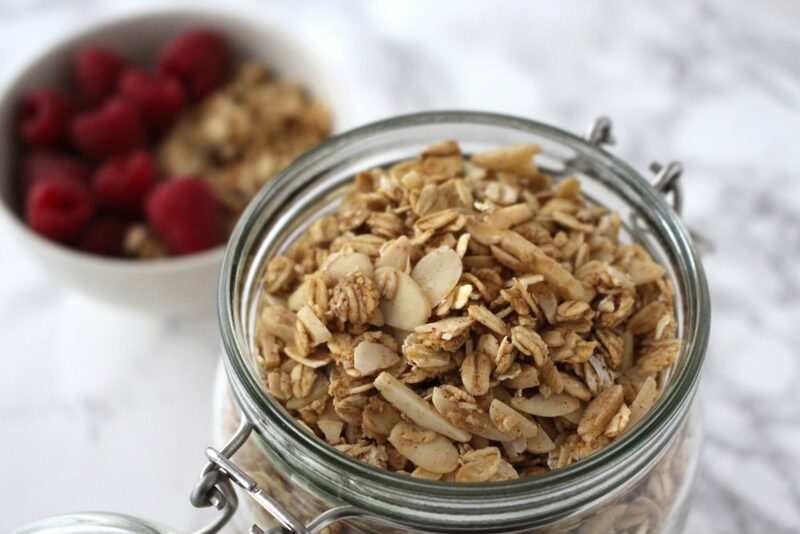 But the best thing about making your own granola is that you can create your very own blend using your favorite nuts, seeds, dried fruit and whatever spices you like. Now it might seem complicated to make granola while actually all it consists of is mixing a few ingredients together and placing it in the oven. The hardest part might be to wait for the granola to cool completely after it’s done so that it really is crunchy. The recipe I’m sharing with you here is my absolute favorite so far. And I’ve tried a lot (!) of different variations the last few years. This granola is crunchy, sweet and explodes with vanilla flavor, which is my favorite. I usually make a big batch and have it for breakfast or just as a snack for the next few days. My favorite way to eat it is with coconut milk (the best milk in this case!) and fresh berries. 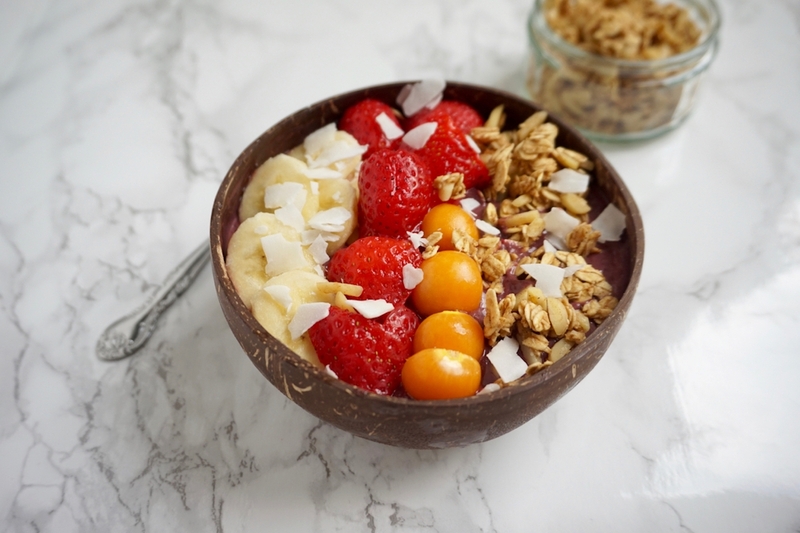 By the way, granola is an essential topping for Açaí Bowls. It also travels really well, so I always take it along whenever I have to go somewhere for a few days. 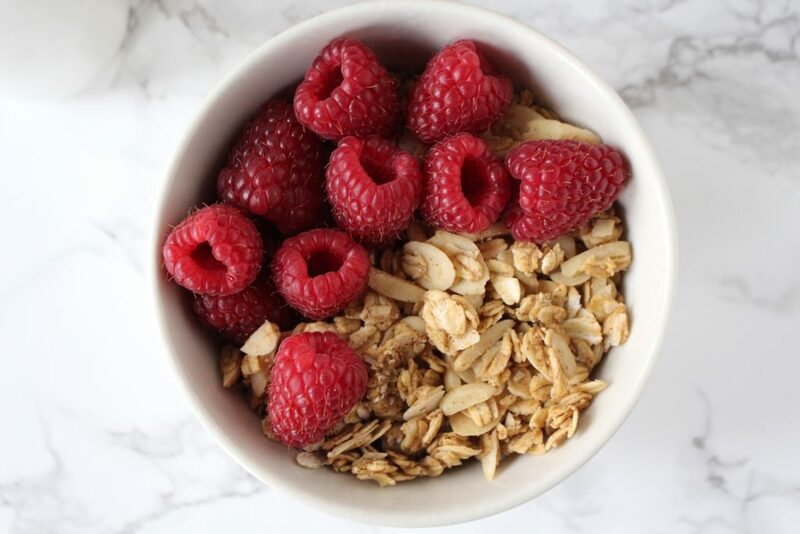 Homemade granola is the best! This one is crunchy, sweet and explodes with vanilla flavor. The best way to eat it? With coconut milk or as an Acai Topping. Preheat the oven to 300 ° F (150° C) and line a baking sheet with parchment paper. Place coconut oil in an oven-proof bowl and melt in the preheating oven (if not in liquid-form already). 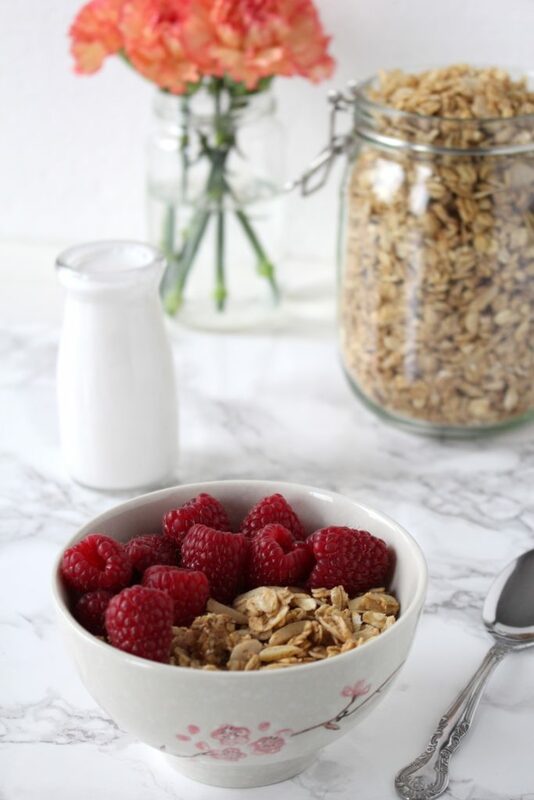 In a big bowl mix together oats, almonds, cinnamon, salt and vanilla (if using powdered). In another bowl mix applesauce with maple syrup, vanilla and almond extract. Add the melted coconut. Pour this mixture over the dry ingredients and combine well until everything is coated. Spread onto the prepared baking sheet and bake for 45 minutes, stirring every 15 minutes. Allow to cool completely before serving. Now you could also add dried fruit like raisins or cranberries. 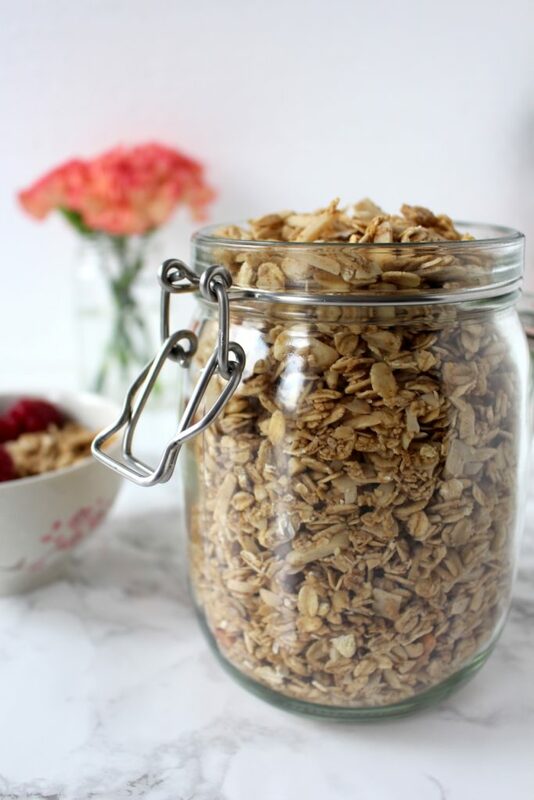 You can store the granola in an airtight container for up to 3 weeks. Good luck with that! 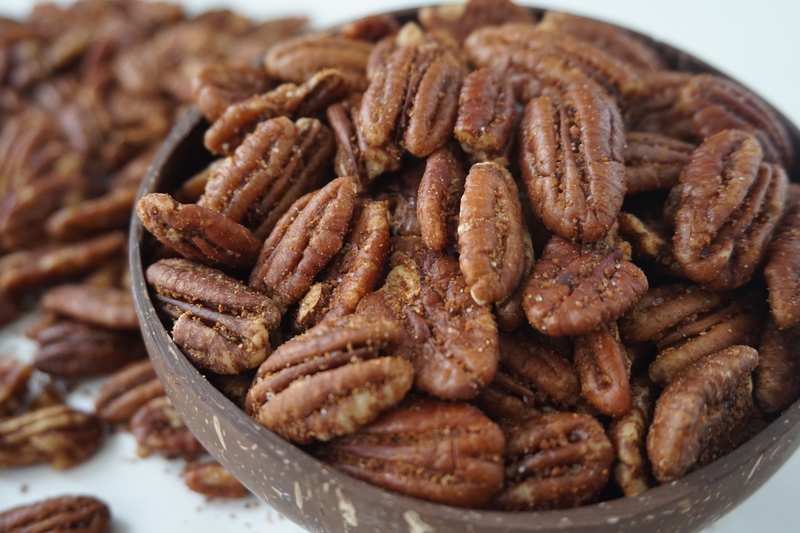 Just as the Sweet & Spicy Pecans, it also makes a great homemade edible gift that everyone will love.